Roland Pro AV division of the Roland Corporation, is dedicated to providing solutions in support of audio and video professionals demanding excellence in both performance and functionality. 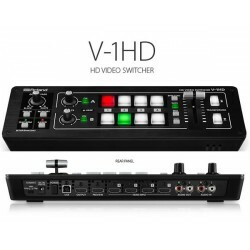 Through the development and support of video and audio products, we endeavor to improve workflow and maximize creative possibilities in a variety of markets. 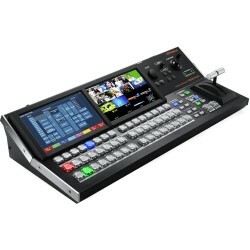 Broadcast , Education, Legal, Live Production, Sports, Theater, Theme Park, Videography, Visual Performance, Worship. 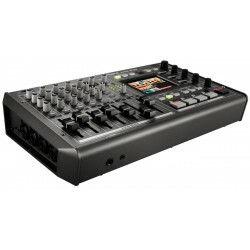 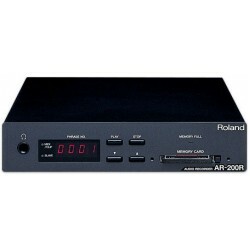 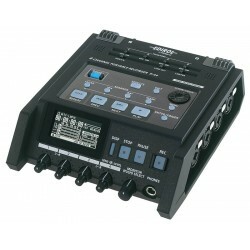 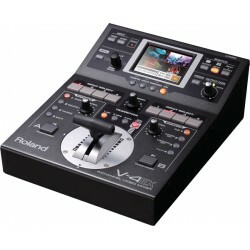 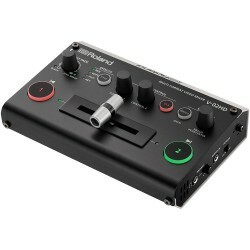 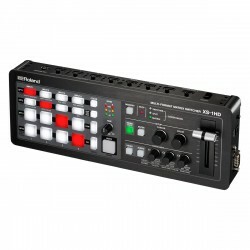 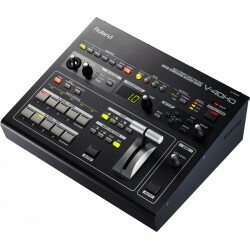 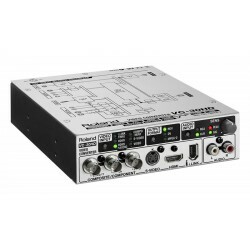 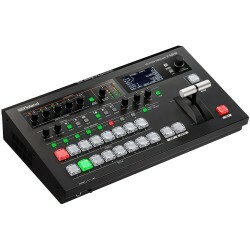 AR-200R Audio Recorder is a 1/2 rack space digital audio recorder/player..
Roland HT-RXTX HDBaseT Receiver and Transmitter capable of taking i..
Roland R-44E Compact Four-Channel Portable Recorder is designed..
Roland V-02HD Video Mixer offers 14 visual effects that can be applied in r..
Roland V-1200HD Multi-Format Video Switcher is a 2 M/E switcher featuring a..
Roland V-1200HDR Control Surface provides a professional physical control s..
Roland V-1HD Portable Video Switcher supports four HDMI inputs at resolutio..
Roland V-1SDI Video Switcher is ideal for both portable and fixed installat..
Roland V-40HD Multi-Format Live Video Switcher is ideal for any live..
Roland V-4EX 4 Channel Video Mixer Accessible and quality video perf..
Roland V-60HD Video Switcher supports six video channels from a variety of .. 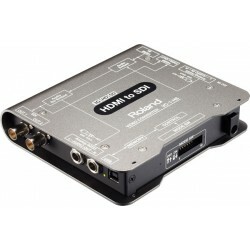 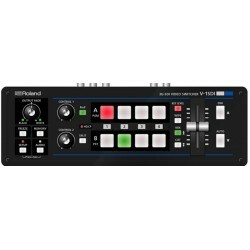 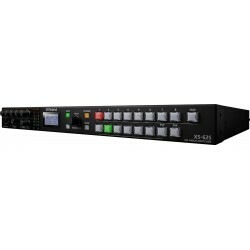 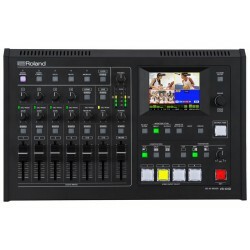 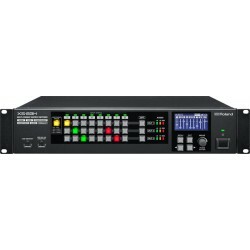 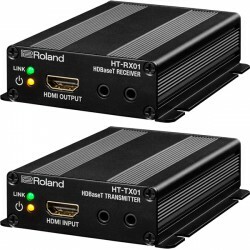 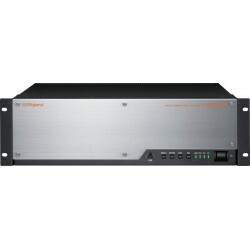 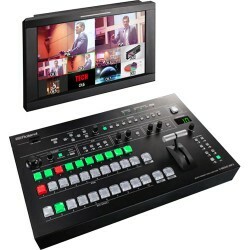 The V-800HD MKII Multi-format Video Switcher from Roland Professional AV Su..
Roland VC-1-DL Bi-directional SDI/HDMI with Delay and Frame Sync address..
Roland VC-1-HS HDMI to SDI Video Converter is a Conversion of video and ..
Roland VC-1-SC Up/Down/Cross Scan Converter addresses the market demand ..
Roland VC-1-HS Video Converter provides uncompromising picture quality b..
Roland VC-30HD is a multi-input video converter and encoding device that ac..
Roland VR-3EX is an all-in-one audio mixer, video mixer, touchscreen mon..
Roland VR-4HD all-in-one AV mixer beautifully integrates a digital audio mi..
Roland XS-1HD Multi-Format Matrix Switcher features four HDMI inputs with s..
Roland XS-62S Compact 6-Channel HD Video Switcher with audio mixer and PTZ ..
Roland XS-82H Multi-Format AV Matrix Switcher supporting eight HDMI, RGB..
Roland XS-83H Multi-Format AV Matrix Switcher very adaptable supporting ..
Roland XS-84H 8-in x 4-out Multi-Format AV Matrix Switcher is very ..